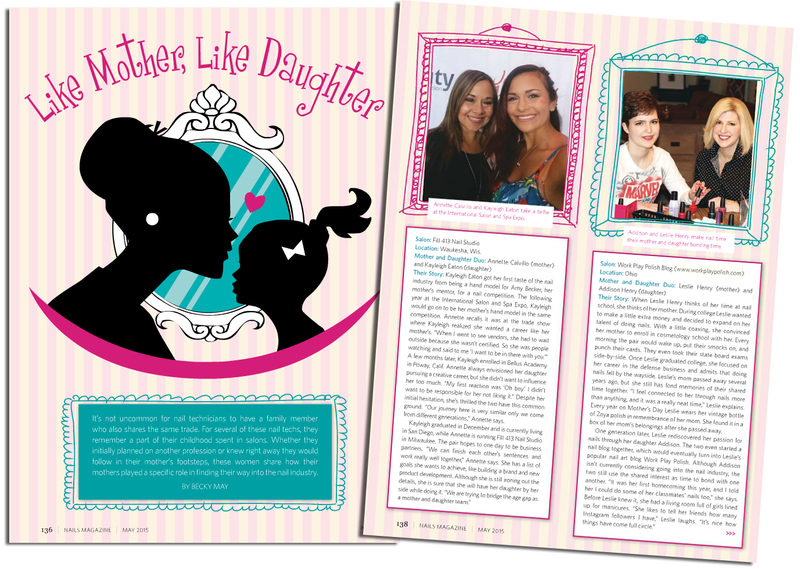 Adda and I are in the NAILS Magazine May issue Mother/Daughter Story! Hi guys. Just a quick post to share something that I'm pretty excited about. If you know my story, then you know I went to nail school with my mother. My mom died in 2007, but starting this blog (with my own daughter, in fact) has reminded me of some great memories. After all this time, I probably feel more connected to my mom through nails than anything (as strange as that sounds). 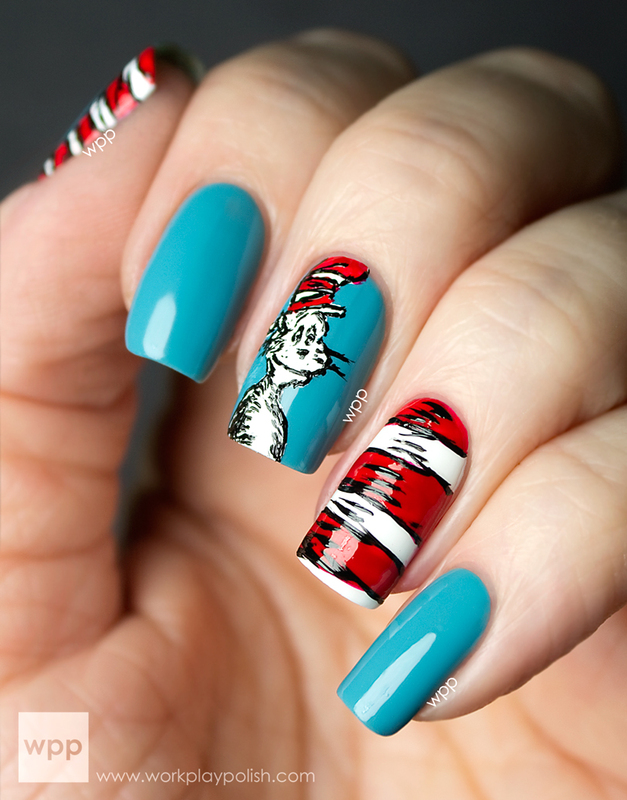 Well a few months ago, NAILS Magazine put a request on Facebook asking for mothers and daughters who had a neat experience together related to the nail industry to contact them about a potential story in the May issue. 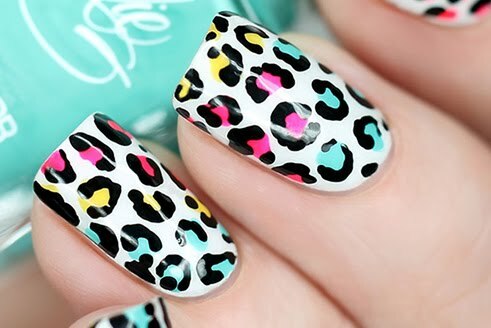 My dear friends Krystal of PolishGalore and Christy of KBShimmer both tagged me in the post. Well long story short, I was interviewed by a NAILS Magazine editor and Adda and I are one of six mother/daughter duos featured in the article! We're on the far right in the pic below. 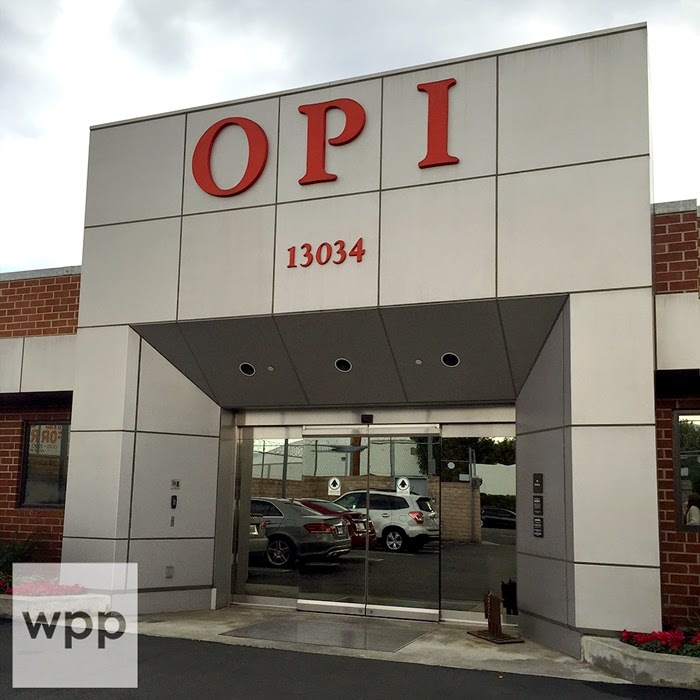 Click here to read the story online. What a cool thing...a perfect early mother's day gift! 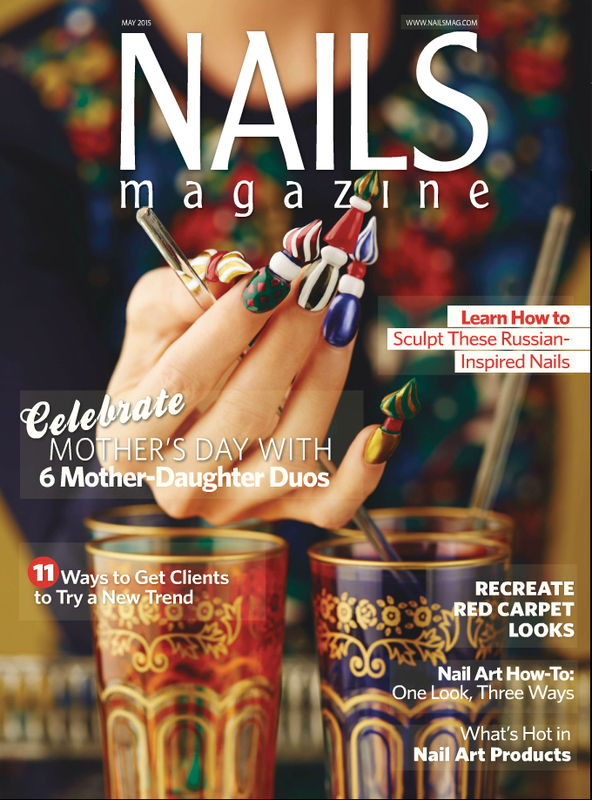 NAILS Magazine is geared toward professional nail techs (but any polish lover would enjoy it). They have tons of info on their website here and you can subscribe here.